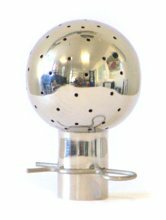 Stainless Steel Static Spray Balls available with tube clip connection and BSP female connections and with 360deg, 180deg up, down and side spray pattern. Now available with a flat shoulder that now cleans more efficiently vertically, please refer to our ‘Type X’ Spray Balls in the details below. 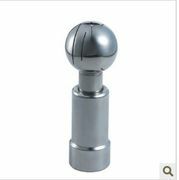 Stainless Steel Rotating Spray Ball available with tube clip and BSP female and male connections.